Globality Health specializes in providing health insurance solutions for globally mobile expats. Those familiar with Munich Re Group will likely be happy to find out that Globality Health is the company's expatriate international health insurance business. Globality Health is an insurer and reinsurer catering to expats and high net worth local individuals in all the territories in which they operate. Globality Health has been operating from their Luxembourg headquarters ever since 2008, and over the past 10+ years the insurer has worked diligently to establish and expand their global network of service and assistance partners to better cater to their clients' needs. Globality Health is a great partner for Pacific Prime, as both companies are focused on serving their members better via superior technical capabilities and service offerings. 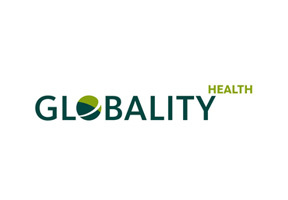 Check out Globality Health and see how they exemplify the 8 E's : Essence, Efficiency, Endurance, Established, Experience, Excellence, Expatriates, and Expertise.